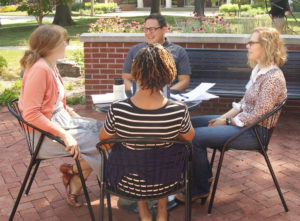 The Wabash Center requests grant proposals for projects that are focused on pedagogies that encourage students to critically consider issues of public engagement and social action in relationship to the understanding of religion. Given many of the difficult conversations that are a part of our current North American teaching context, we are looking for projects that explore how a basic understanding of public life and religious commitments affect each other. Faculty members may want to explore strategies such as teaching against the grain or course development across disciplinary boundaries, departments, or schools. Attentiveness to the long-term “value-added” of an understanding of religion or theology – who do you wish your students to be in five years? Successful grant recipients will be gathered as project directors for a meeting at the Wabash Center on May 23-25, 2019 to refine their project goals, design, and assessment components. See full instructions on the Project Grants web page. Faculty members might begin inter-disciplinary conversations with colleagues about the study of religion as it relates to public life or an informed citizenry, or they might develop creative ways to consider the topic within the overall curriculum. Final reports will include a full financial accounting of funds spent (from institutional business office) and a Narrative Report on what the project accomplished and what was learned about pedagogies for social justice and civic engagement.